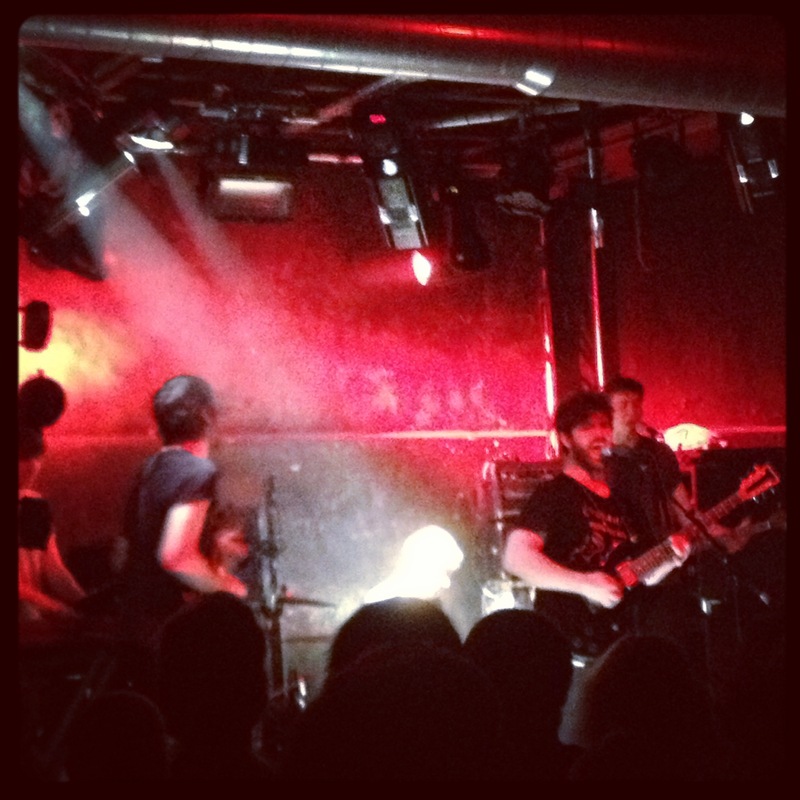 Last week, my favourite band, Foals, were playing a special gig at XOYO in association with NME. To get tickets you had to register to be entered into a ballot to get tickets ahead of the show which, of course I entered…but unsuccessfully. So remaining sad for about a day, then remembering I was seeing them at the Albert Hall in a few months anyway, I forgot all about it. So a week passed and it just so happened that I had to be attending a birthday at The Shoreditch Butchery above XOYO on the 7th February. It wasn’t until I got there and saw the signs plastered outside, that it was the night of the show so I set a mission for the evening, to get into the gig. After politely asking the door staff if we could buy-have wrist bands for the show a couple of times and being declined on both occasions, I realised that there was no way in without sneaking in… So that’s exactly what we did. A quick flash of a band-less wrist to the distracted bouncers, we ran downstairs just as the set started. Kicking off with the Prelude for their latest album Holy Fire, they cracked on with a number of tracks from their first two albums including, Total Life Forever, Blue Blood, Ballons and one of my favourite songs of all time, Spanish Sahara. The energy was flying and Yannis kept amping up the crowd by diving in for a bit of crowd surfing, even crossing the floor and getting up on the bar with his guitar and swigging a pint handed to him by the barman. Doing the classic leave the stage and the crowd wanting more act, Foals re-emerged after their main set for a short encore of recent single Inhaler and of course finishing, as they always do on Two Steps Twice. Unexpectabley getting to see your favourite band on a work night, for free… Priceless! 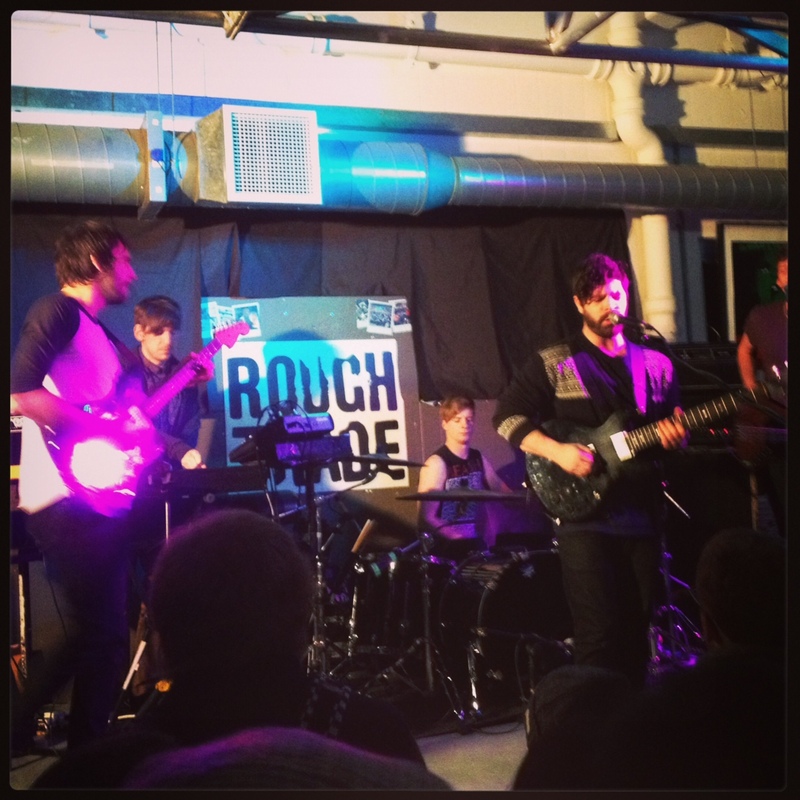 Following a little bit of Thursday night Foals action, I headed on down for round two on Monday night where they were playing a free gig at Rough Trade East. With only about 150 people in the crowd and the band giving off the sentiment that they didn’t really want to be there, they banged out three tracks from Holy Fire and Spanish Sahara with ease and then departed the stage. A short but sweet performance that brightened up my snowy Monday.